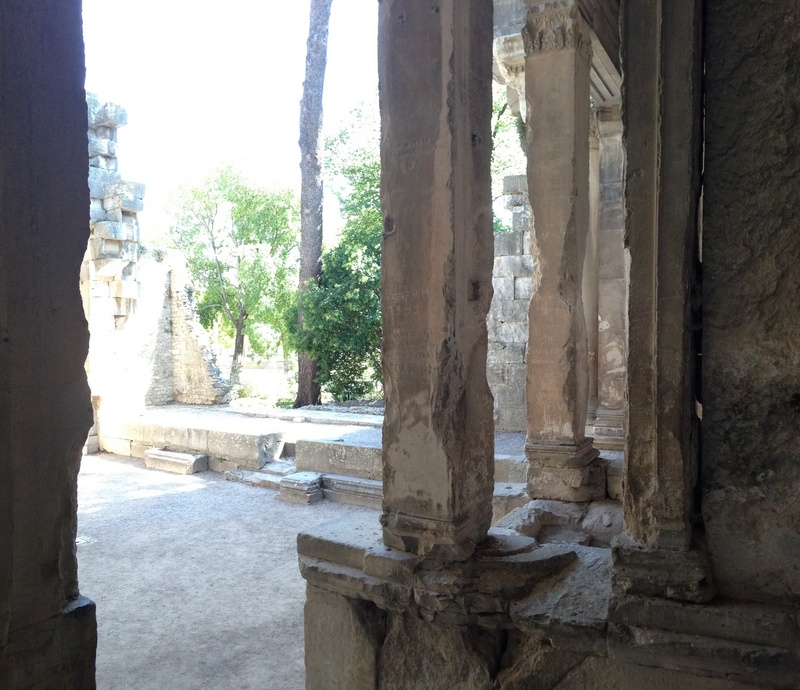 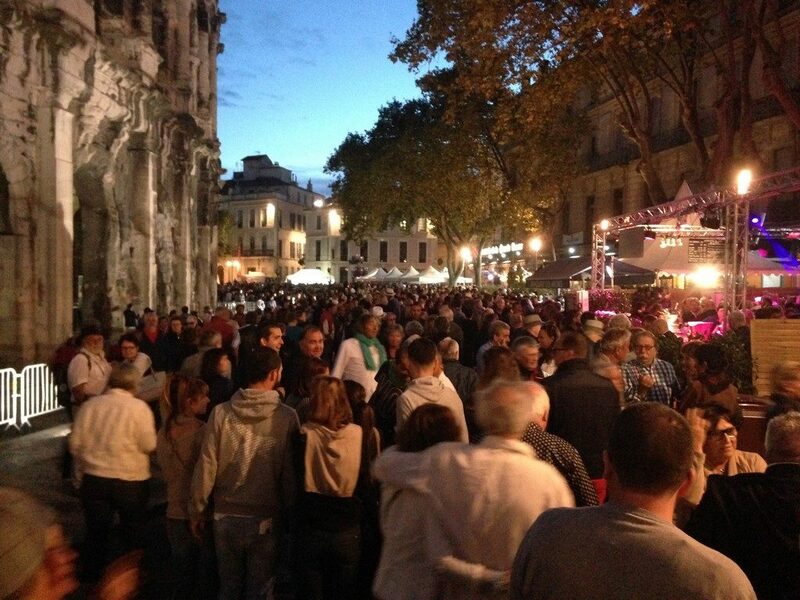 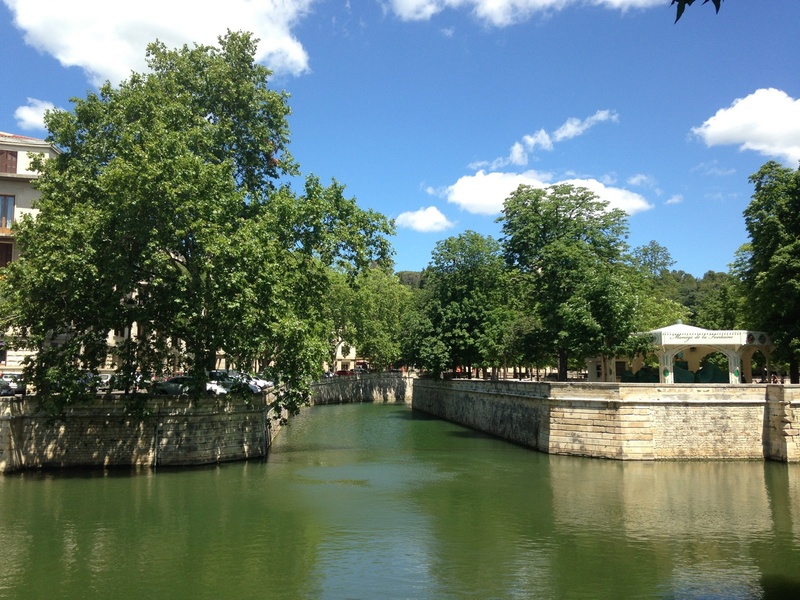 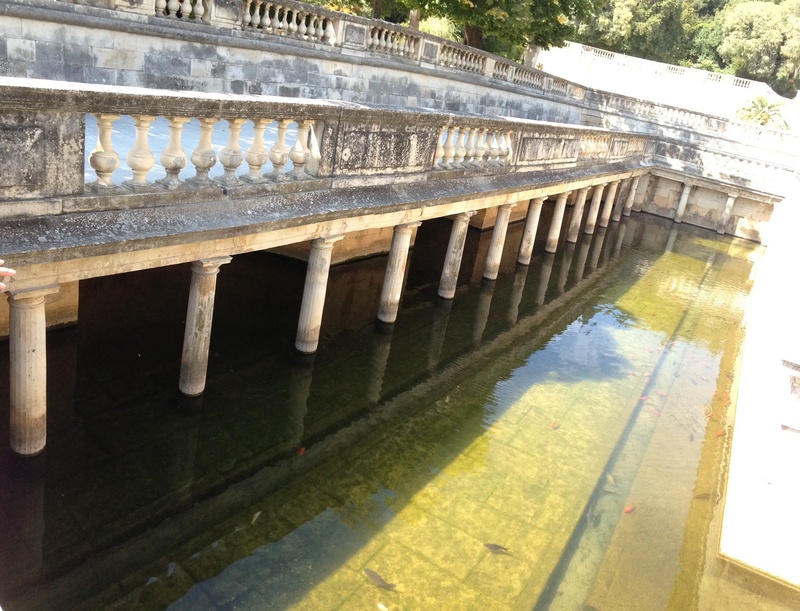 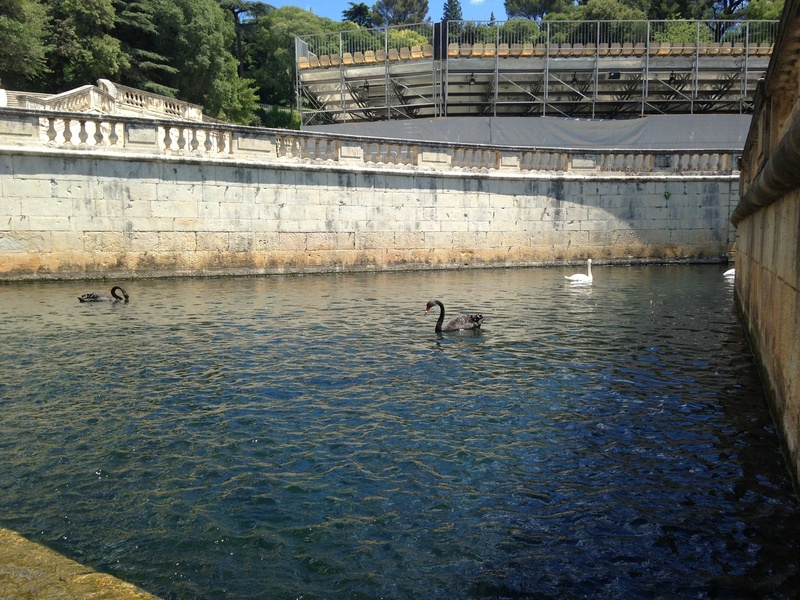 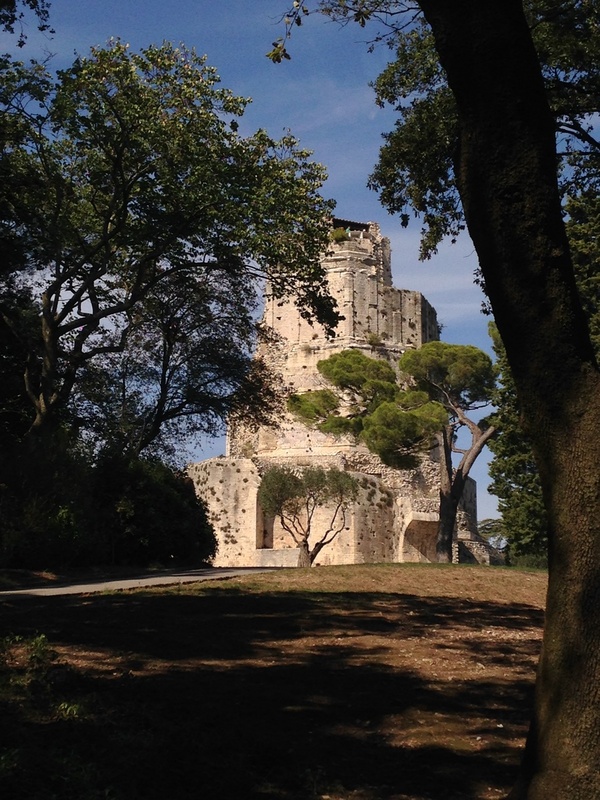 Home > What to see and do > Nîmes > Monuments > Le Jardin de la fontaine, Nîmes. 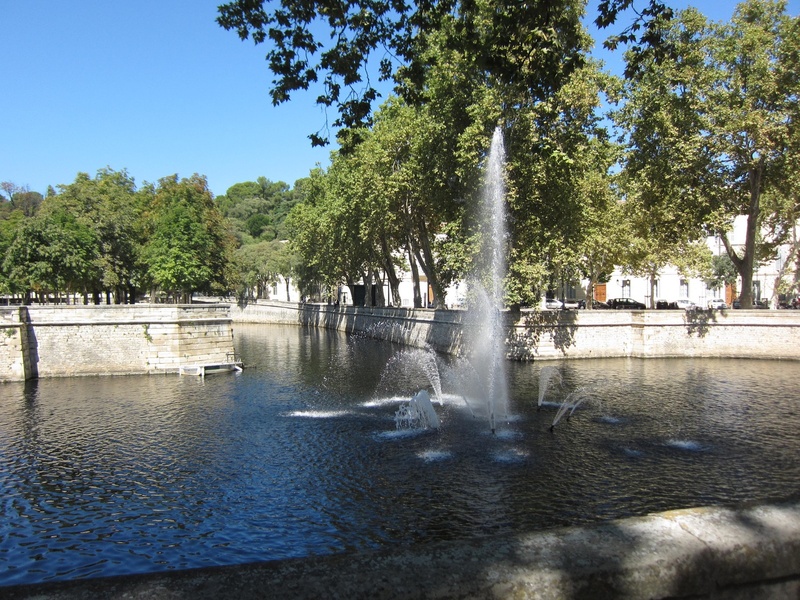 Located at the top of the boulevard Jean Jaurès, in the city of Nîmes, Le Jardin de la Fontaine is an outstanding public garden that were created in 1745, it is also one of the oldest city park in Europe. 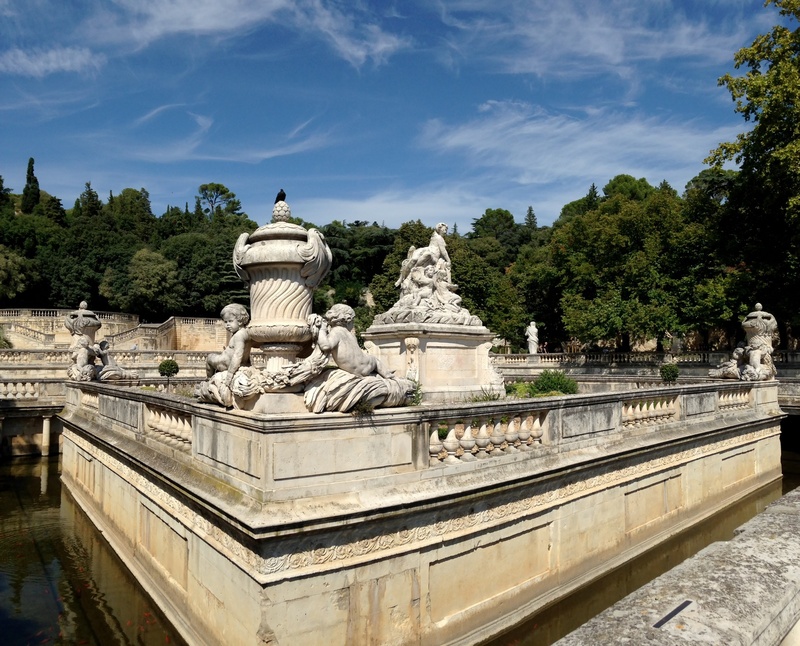 Bridges, water, Roman temple, Roman tower, canals, statues and botanical garden are the main highlights. 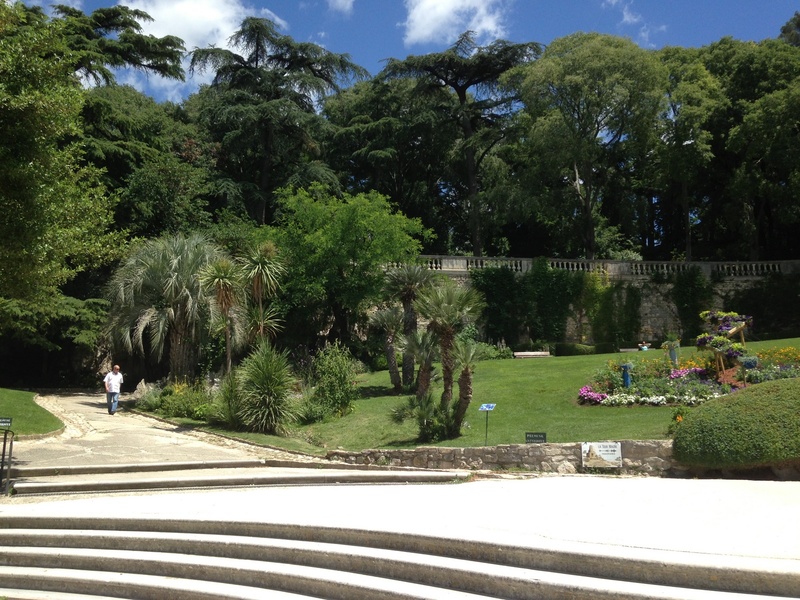 In this popular and beloved garden we locals come alone or in couple, for a jogging, to flirt, to take romantic and memorable wedding pictures, to take a sun bath, to bring the dog for an epic walk, to learn about History etc… Over the years le Jardin de la Fontaine was and still a part of the life of any of the Nîmes inhabitants and a part of the identity of the City from the Roman Imperial era to today. 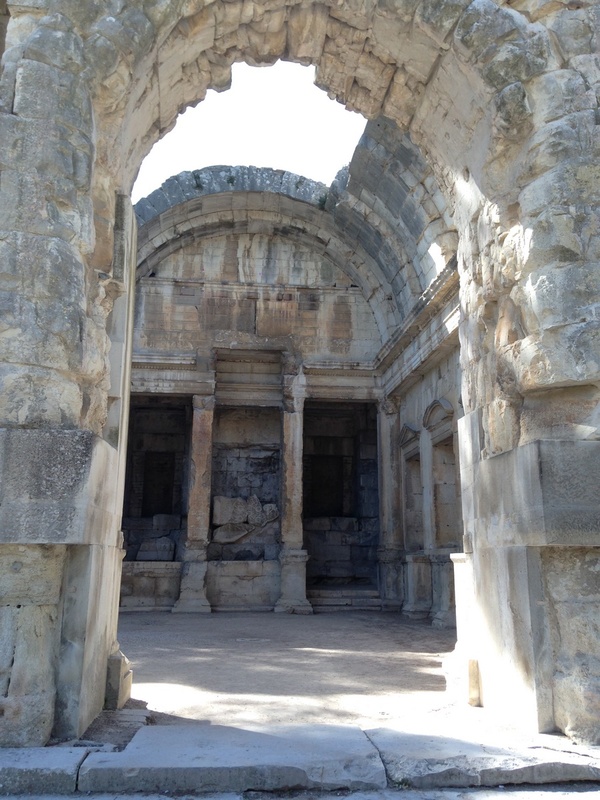 This is definitely a place that will help you to understand amazing history of Nîmes, this city that had the chance once a day to be colonized by our great ancestors the Romans. 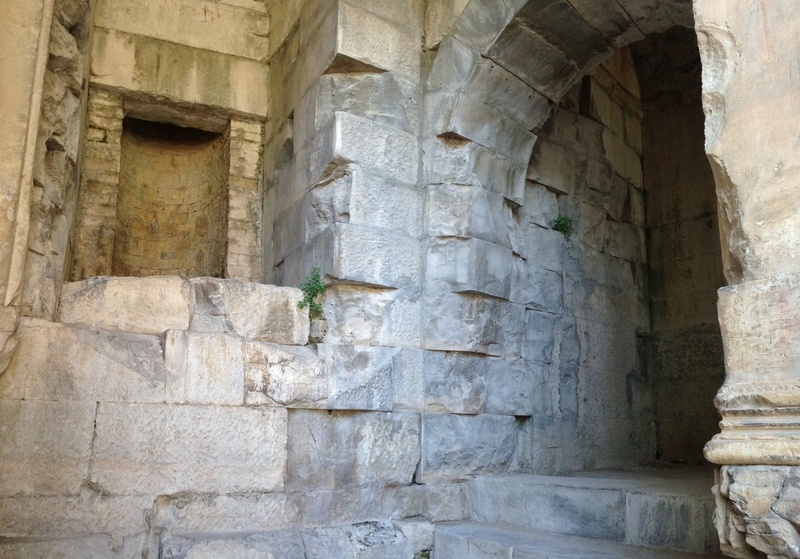 The garden has several gates of several sizes, the two main gates are located at the Western and at the Southern part of the site. 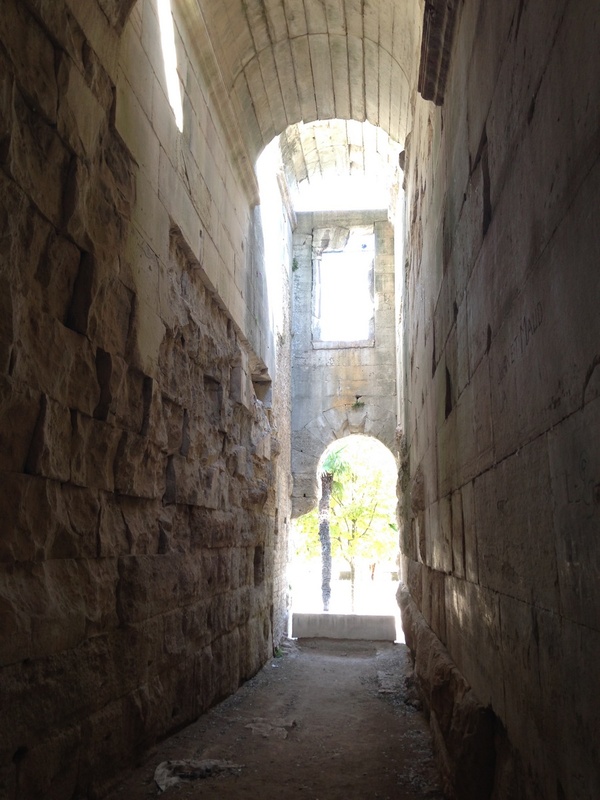 Three other gates are respectively located at the South East, East and North (right behind the Tour Magne). 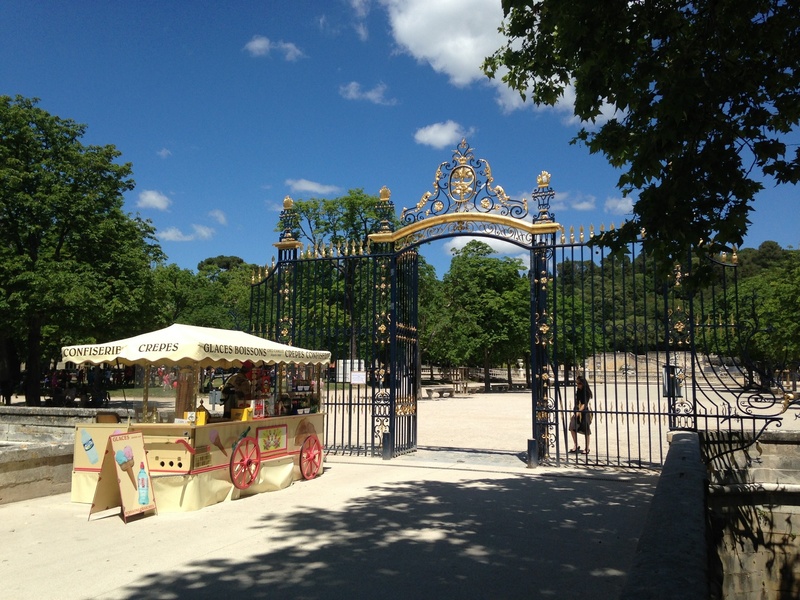 Made of Iron, the main gate located at the Southern part, at the end of the Boulevard Jean Jaurès is sumptuous, at its top (made of plated gold) we can see the Nîmes coat of arms, which represent a crocodile chained to a palm tree. 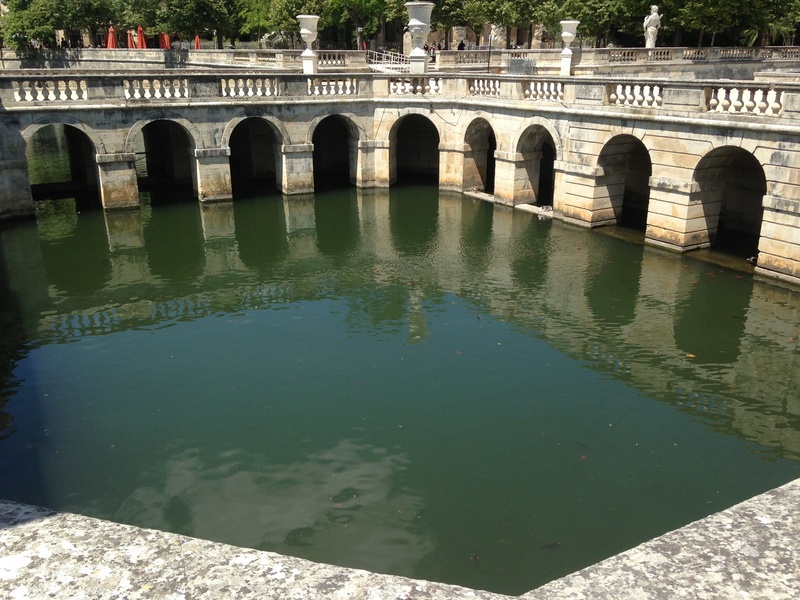 Designed by JP Mareschal the military engineer of King Louis XV in the 18th century, le Jardin de la Fontaine was build up next to an ancient spring discovered by the Gauls. 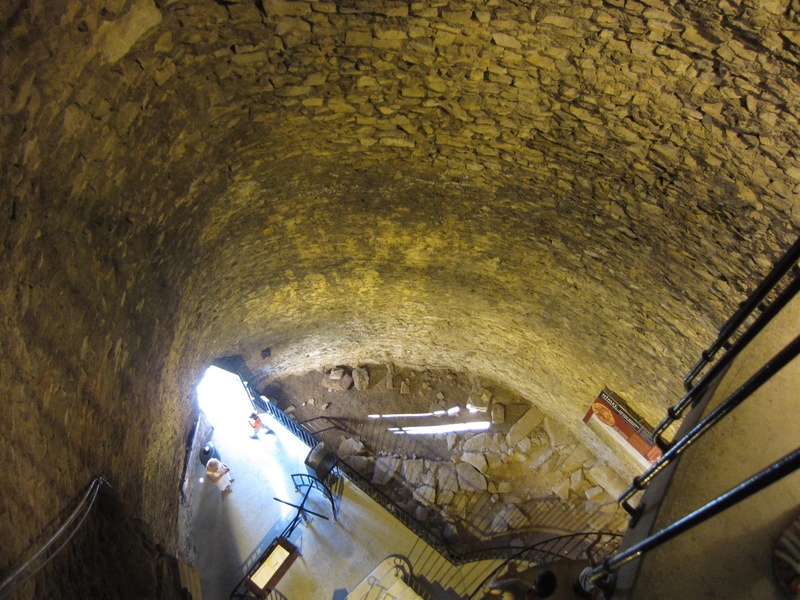 The remains of Roman baths dated from the Emperor Augustus (around 27 BCE) were then discovered on the site. 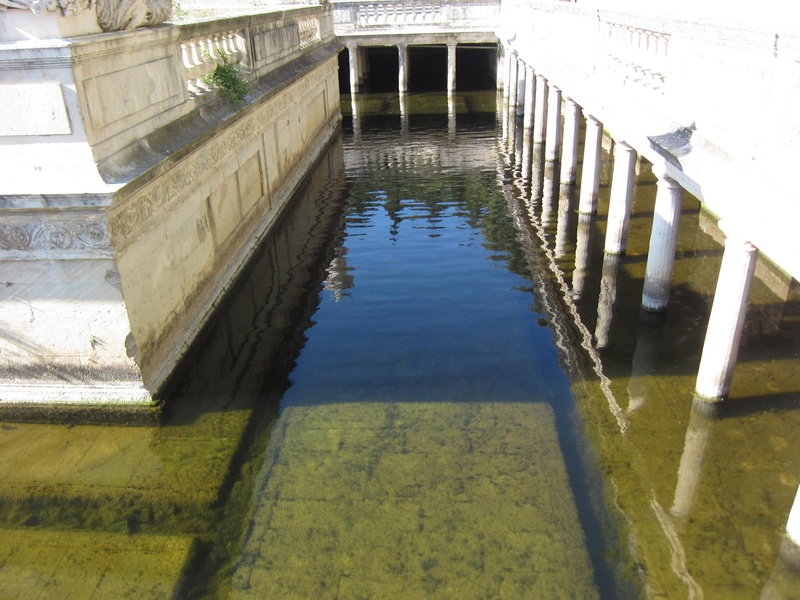 It is important to understand that this spring were discovered by the locals inhabitants the Gauls before the Romans and it is where the origins of the city take place. 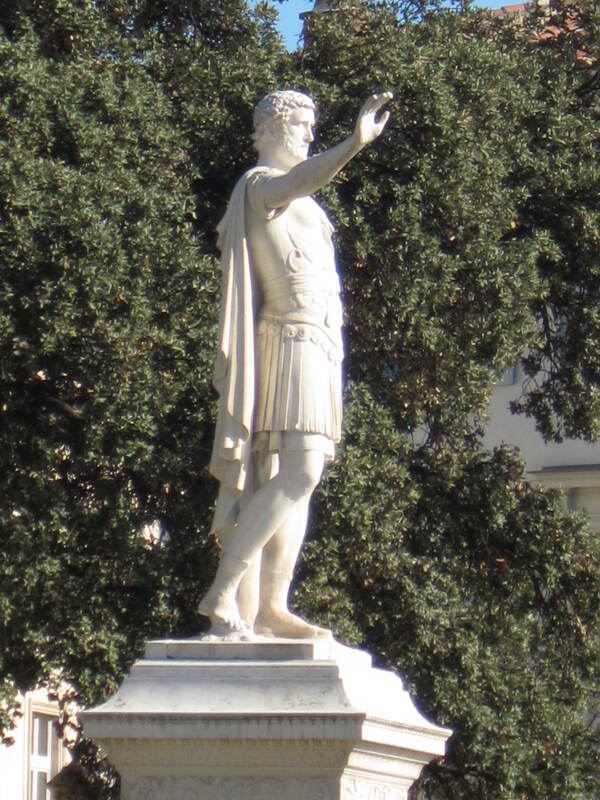 So the Romans named the town of Nîmes after the god of this spring Nemausus. 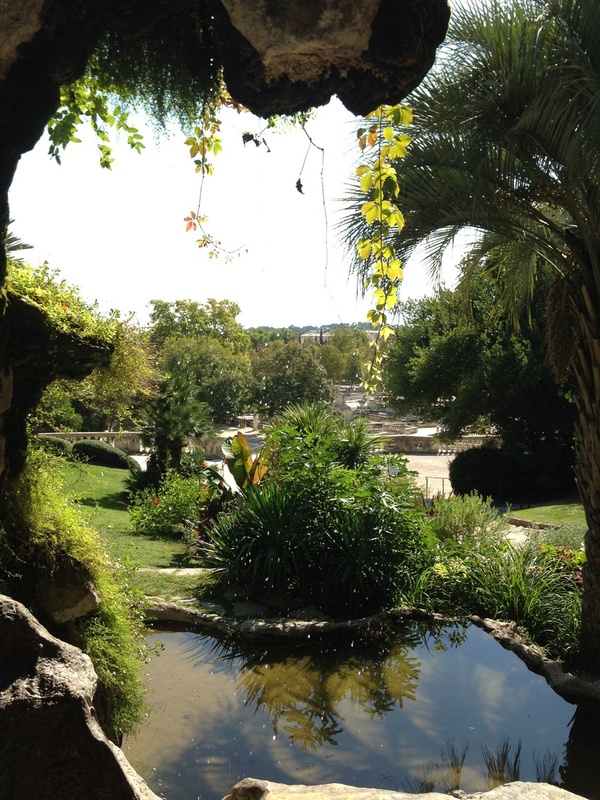 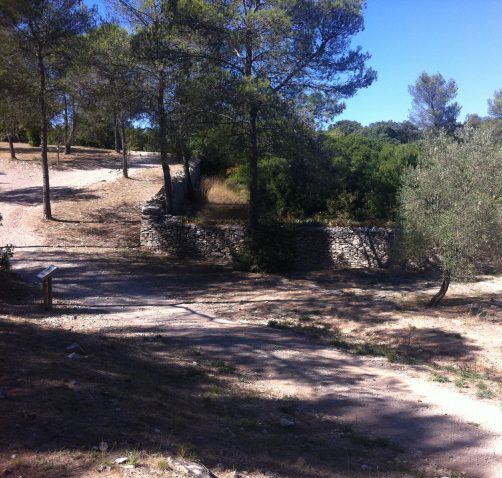 An important part of the garden were build up using the old Galo Roman foundations made of terraces bridges and canals. 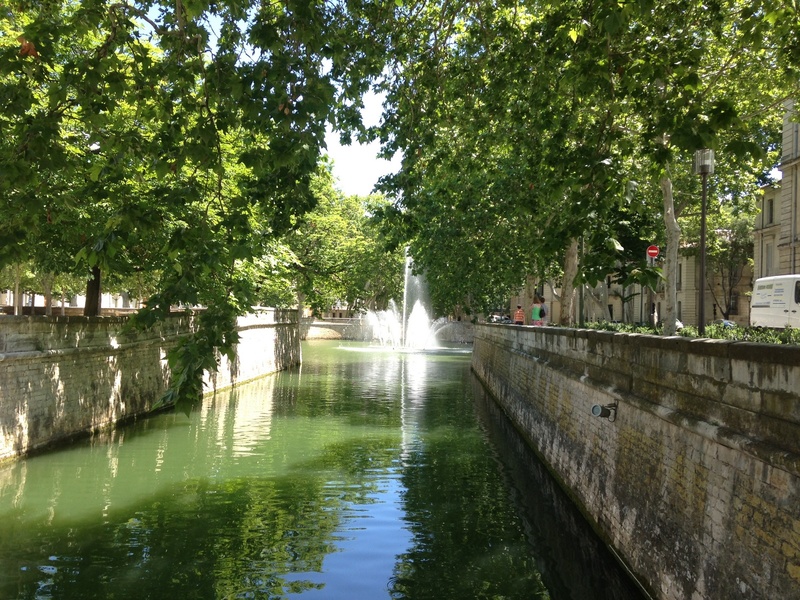 The longest canal goes from the Avenue Franklin Roosevelt, all along the Quai de la Fontaine to reach the Square Antonin, where you can see a statue of the Antonin the Roman emperor born in Nîmes. 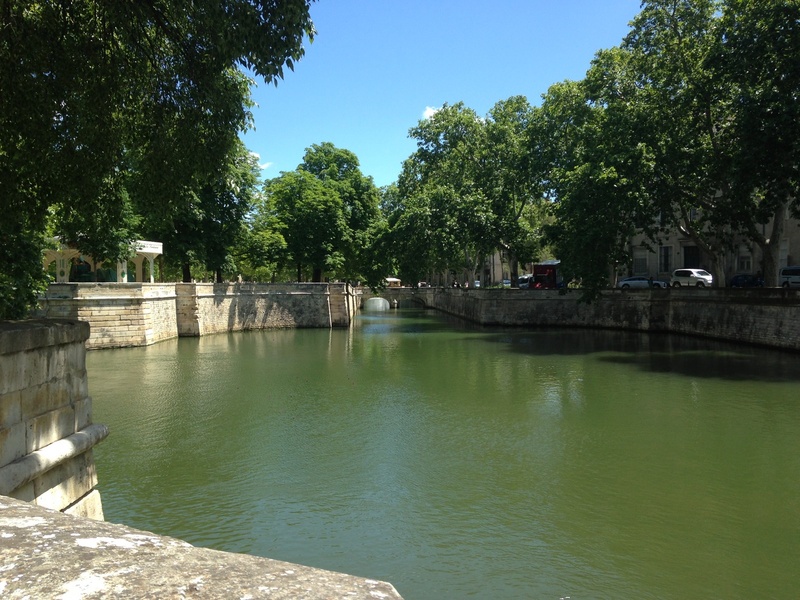 It is possible to walk all along this canal simply by following the side walk. 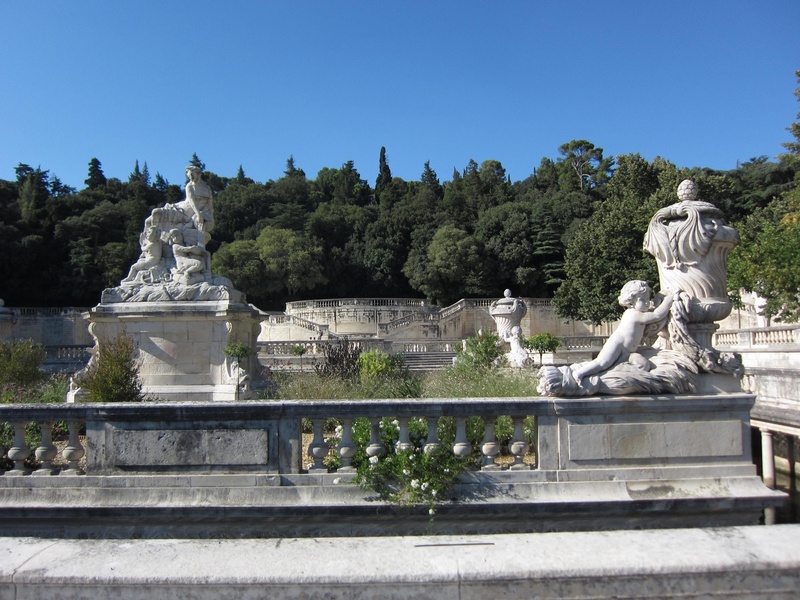 Baroque-style architecture, white marble vases, statues and rich ornaments can be seen everywhere in the garden. 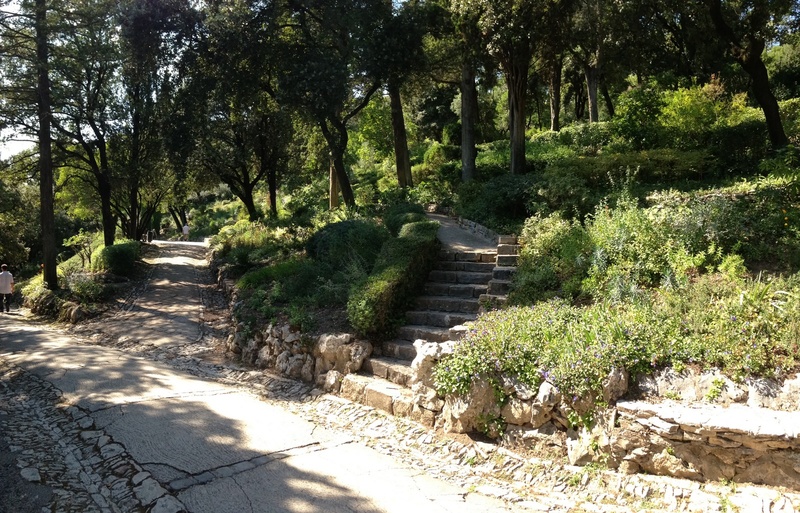 The ground level of the garden, let’s call it the first part, is made in a classic style, with symmetric alleys, squares and balconies. 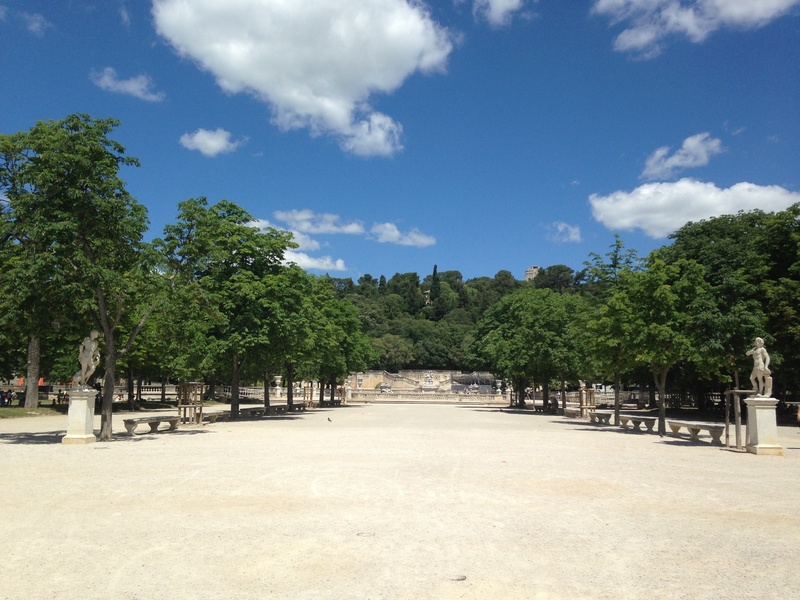 A symmetry underlined by the several horse chestnut trees, also providing enough shadow and freshness to the visitors during the warm days. 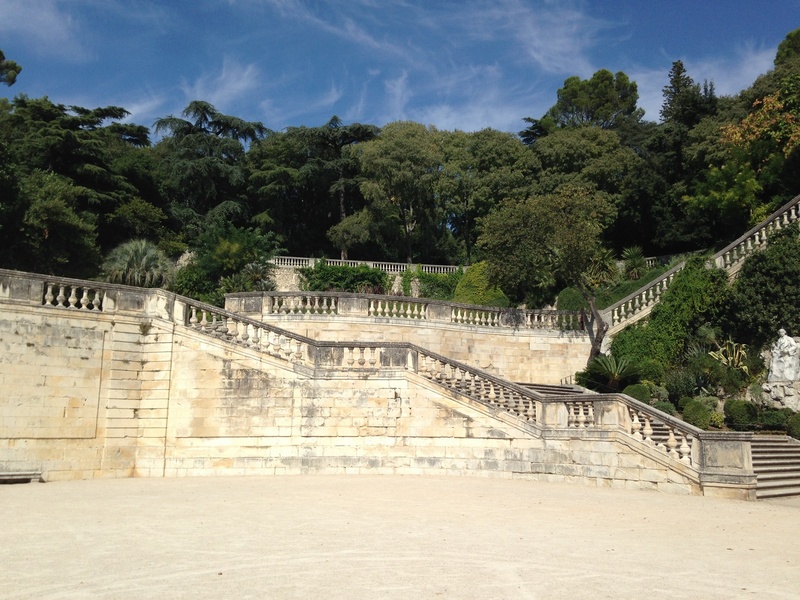 We can notice that the vases and the statues of the first part of the garden was taken from the château de la Mosson nearby Montpellier in 1744 after the death of its owner Monsieur Joseph Bonnier. 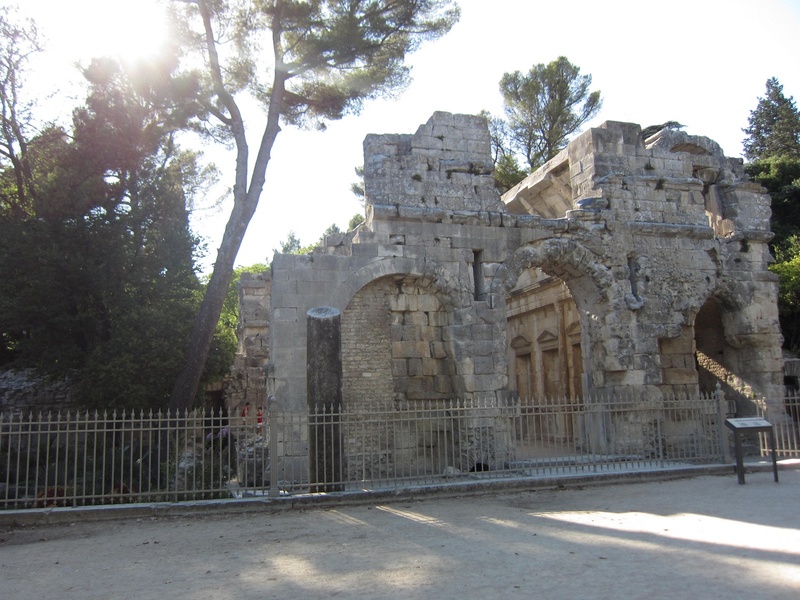 The enigmatic and romantic ruins of the Temple of Diane are also something the visitors must see. 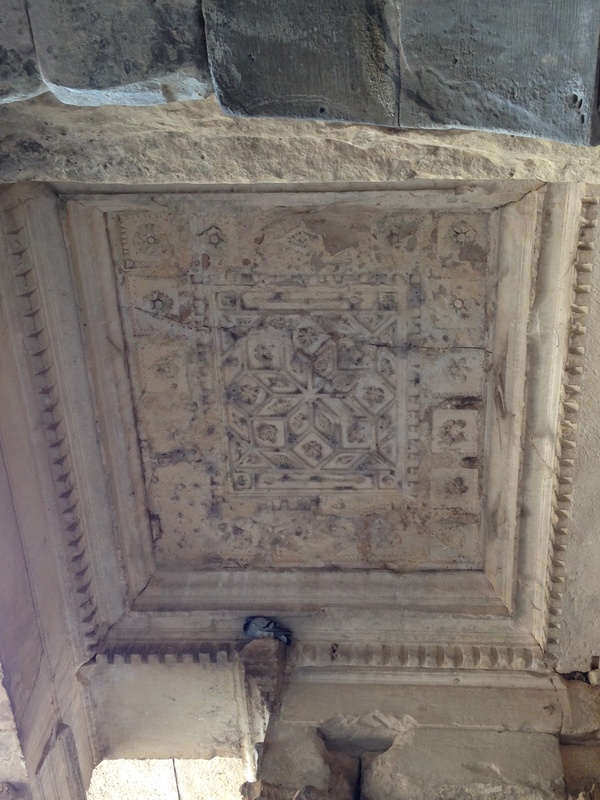 Dated from the very early Roman era, the exact purpose of this temple and the exact date when it was build up remain quite unknown, especially because there is no clear spiritual principles symbolically represented in the temple and the architecture is somehow confusing especially the basilica design of the main 15 meters high archway that may suggest that it was not a Roman temple. 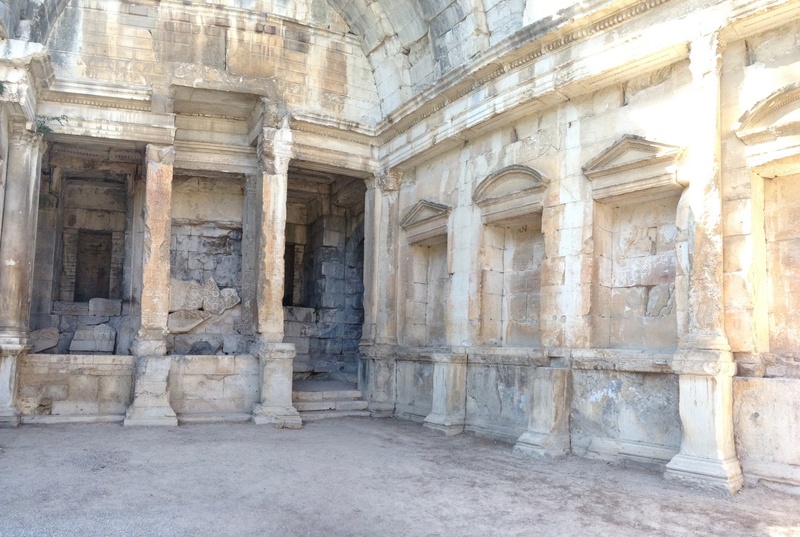 Believed by most people to have been built up as a temple named after a very local deity, some people say it was dedicated to several gods, some others also say it was just build up as library. 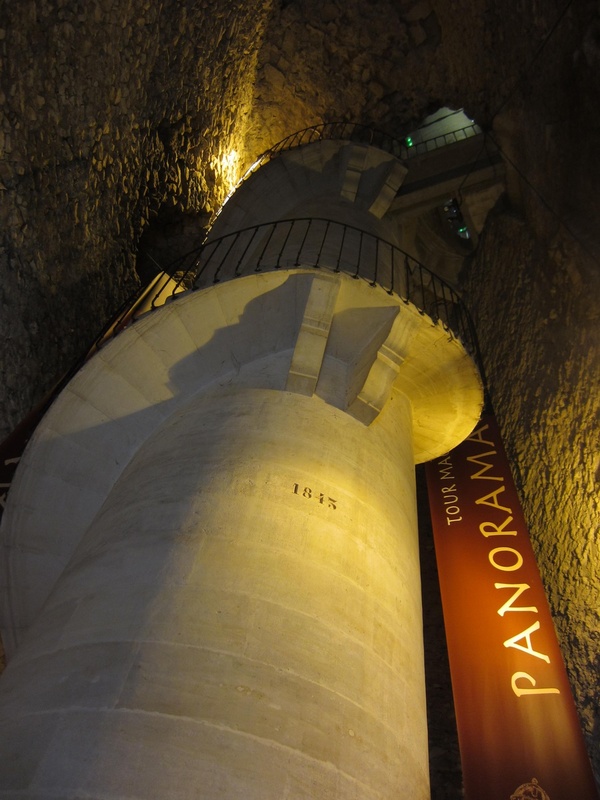 Whatever the history of that monuments, its origins or its real purpose, just take the time to discover this enigmatic place and have a look at the small tunnels, Corinthian pilasters, passageways, vaulted ceilings, arches and sculpted walls. 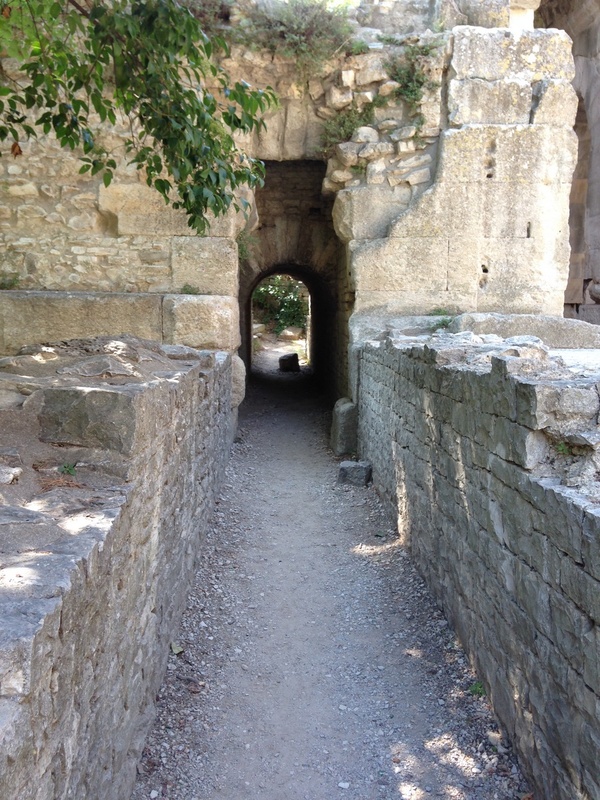 Do not hesitate to pass under the tunnel that leads to the second floor behind the temple. 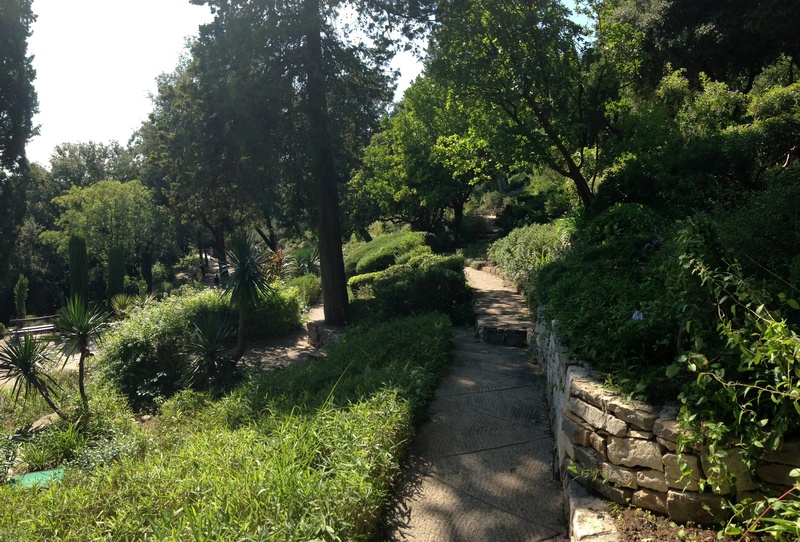 We can say that the garden is made of 2 levels that goes from the ground floor to the top of the hill. 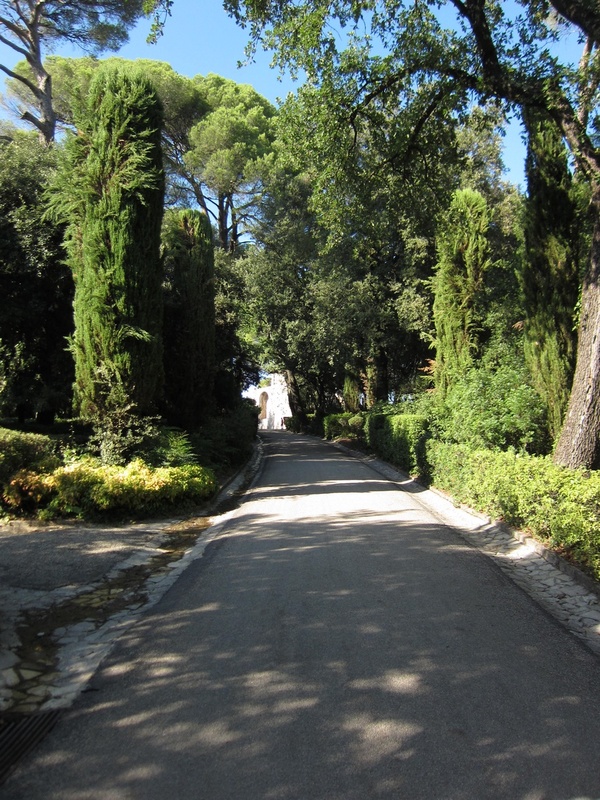 The top can be easily reached within a good 30min walk through a several paved ways, hidden paths, botanical gardens and wide alleys. 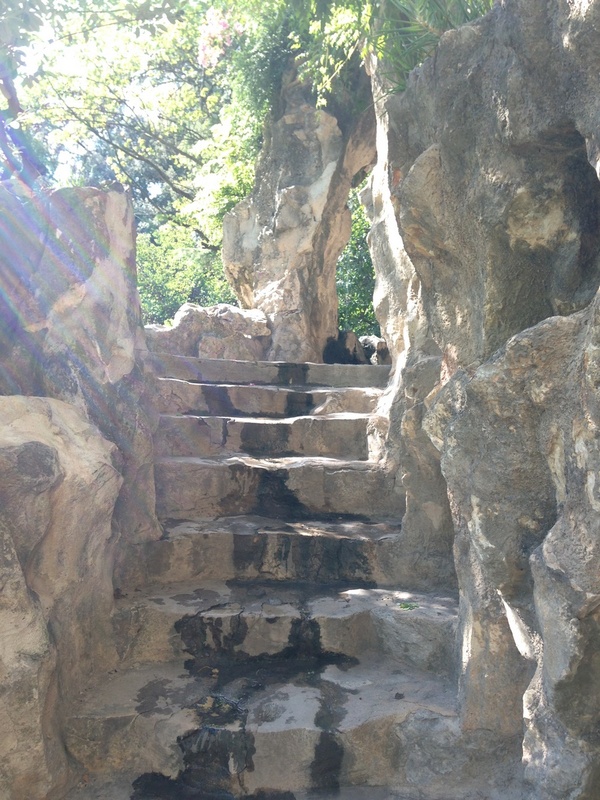 Once you are at the ground floor and walking into the direction of the hill, go to the right side and at the base of the hill you will see an artificial and stunning cave made of narrow stairs and small water ponds. 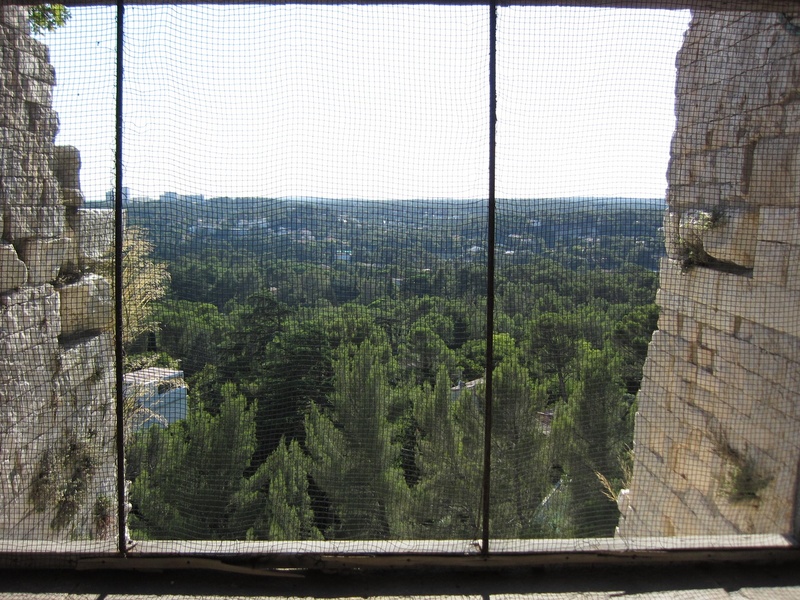 There have a break and take the time to look at the view through the water curtains. 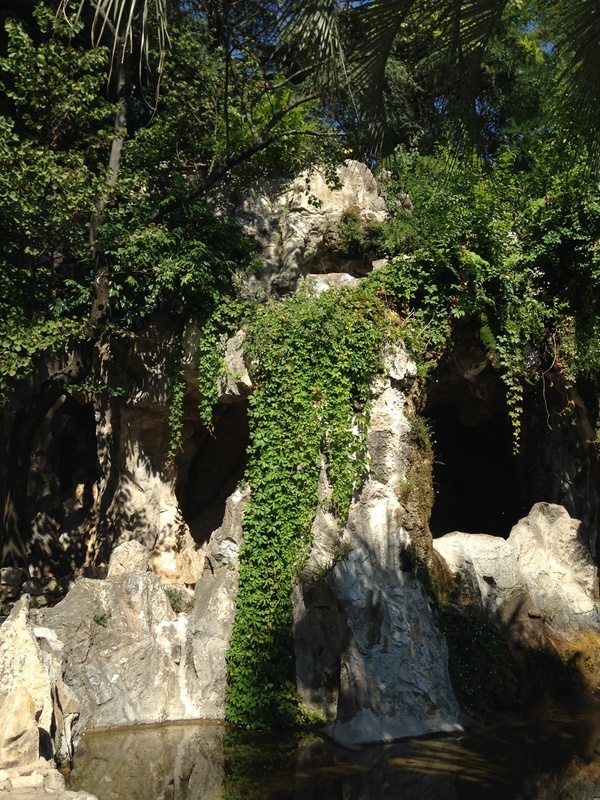 Despite its “natural” appearance, this cave made in 1890 is totally artificial, and has a picturesque and typical look from the 19th century’s gardens. 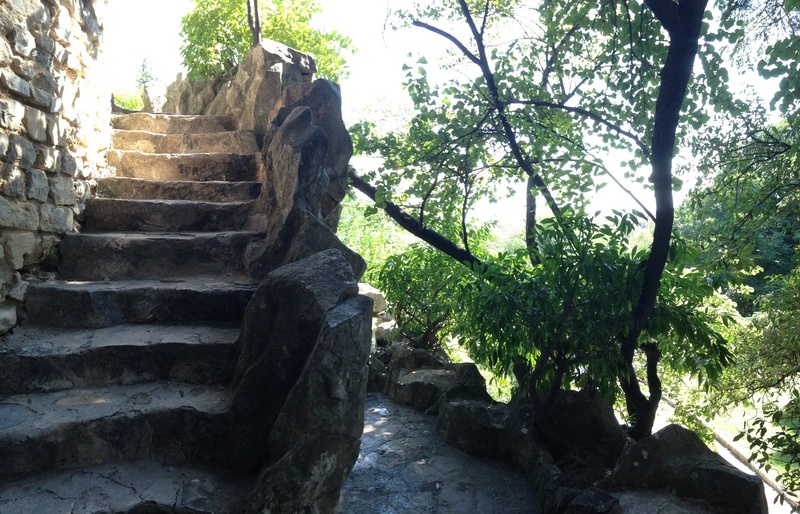 At the top of the cave leave follow the path to your left to reach the stone and botanical garden. 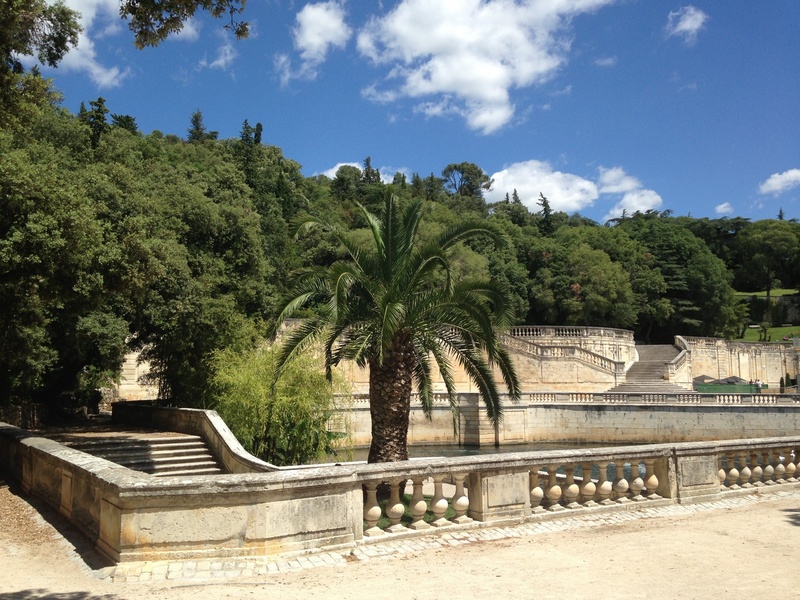 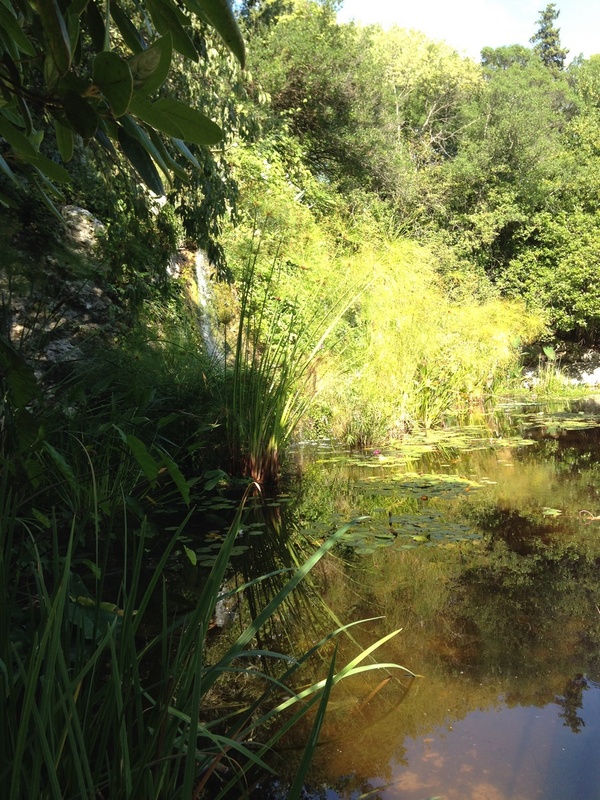 Made of rocks, cactus, olive trees, cypress trees and a multitude of exotic plants, walk through its narrow zig zag alleys until the top to reach a beautiful water pond named “le bassin Montgolfier”. 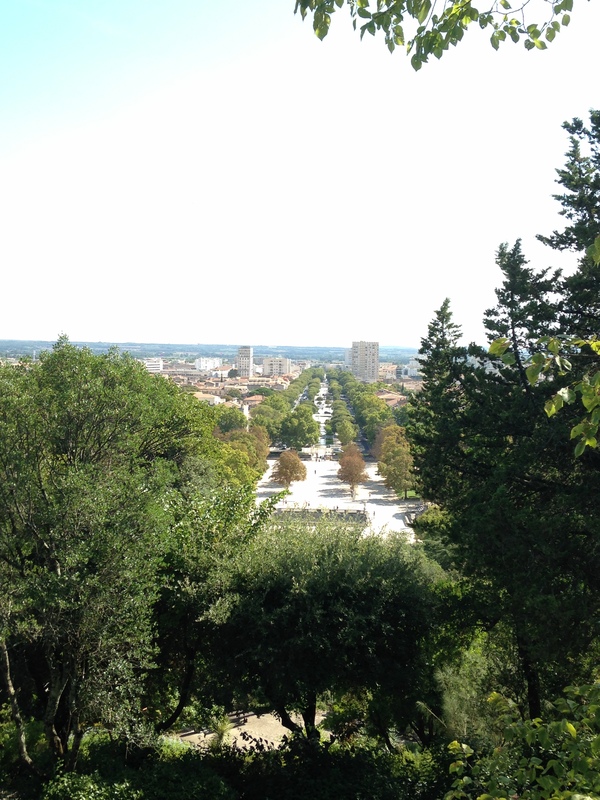 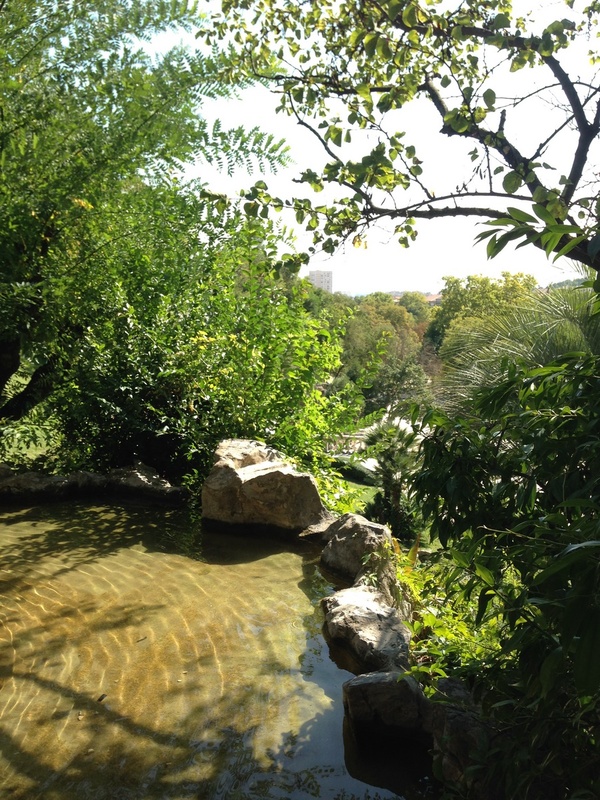 Facing the bassin Montgolfier, take a break and enjoy a great view of city and the garden. 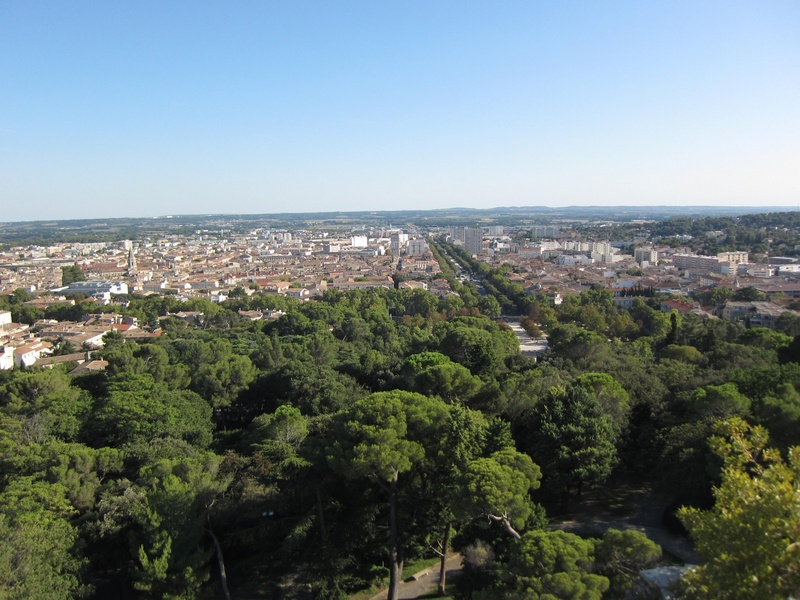 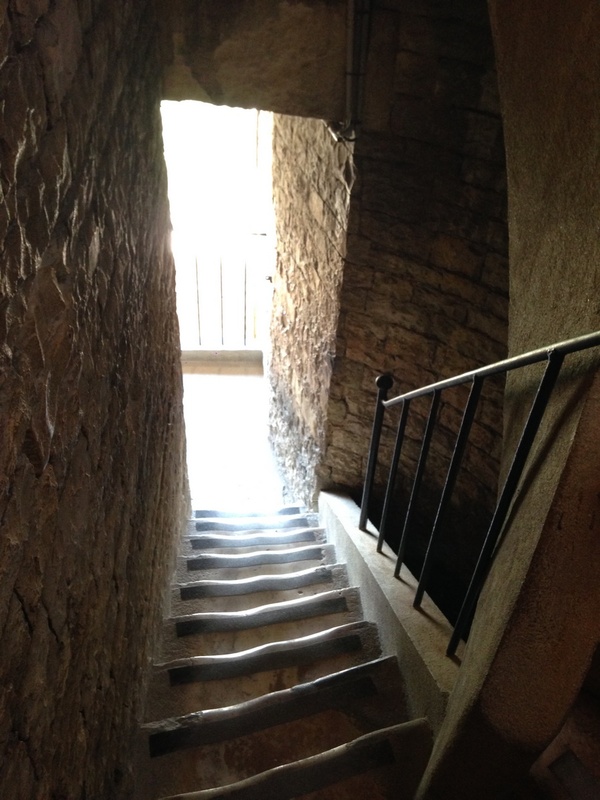 Time to walk furthermore and continue your pleasant walk to the top of the hill until you reach a stunning Roman watchtower named la Tour Magne. 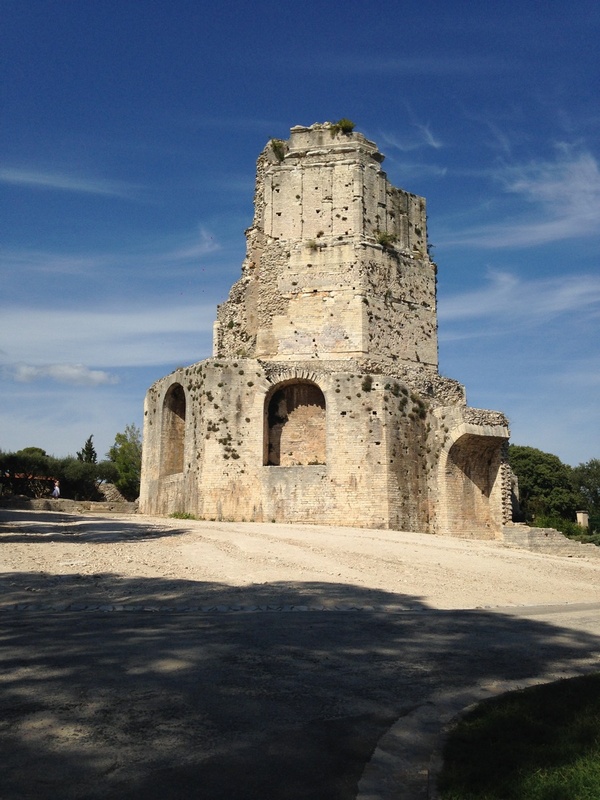 Please notice that along the way you can see several panels that show you the direction of the Tour Magne, so if you are kind of lost no need to panic, you just have to simply follow them until you reach the tower.